When you’re in the middle of wedding and honeymoon planning, it’s easy to let the “boring” stuff slip. But then you find yourself in Terminal 2, handing your passport to the gate agent to jet off to your honeymoon. And your stomach drops as you wonder, "Wait, was I supposed to change my name on that thing?" If you plan to legally change your last name after saying “I do,” it’s easy to feel confused about the process. Or maybe you’re like me — procrastinating on the paperwork because there just doesn’t seem to be a good day or week to be without a passport. So, can you travel in the midst of a name change? And if so, what do you need with you to make sure border agents know you are who you say you are? Lucky for us, the government has made it a pretty straightforward (though time-consuming) process. Changing your name isn’t difficult, but it does take time. In many states, your official marriage certificate won’t arrive in the mail until two weeks after you’ve signed it. So if you’re traveling within days of the wedding, hold off on switching documents until after you get back. The truth is, even if you decide to change your name on the marriage certificate, the process isn’t truly underway until you switch over your Social Security card, driver’s license, etc. For honeymooners who leave the country right away, it’s easier to have your travel advisor reserve everything under your maiden name. All your documents already match, so you won’t need to deal with questions from TSA or airline agents. Once you’re home, I recommend starting the name change process as soon as possible. Keep in mind, the entire switch can take months from the day you signed your marriage certificate. When changing your name, your Social Security card always comes first. Visit your nearest Social Security Administration office. Bring both your current Social Security card and your marriage certificate. The Social Security Administration provides detailed instructions if you want to make sure your bases are covered. Next? The DMV. Take your newly minted Social Security card, your marriage certificate, and your current driver’s license to your local DMV — and be prepared for a new photo! Google “name change in [your state]” to make sure you have everything you need to get the name on your license changed. Finally — your passport! The requirements for changing your name on your passport vary depending on how long ago you received a new one. 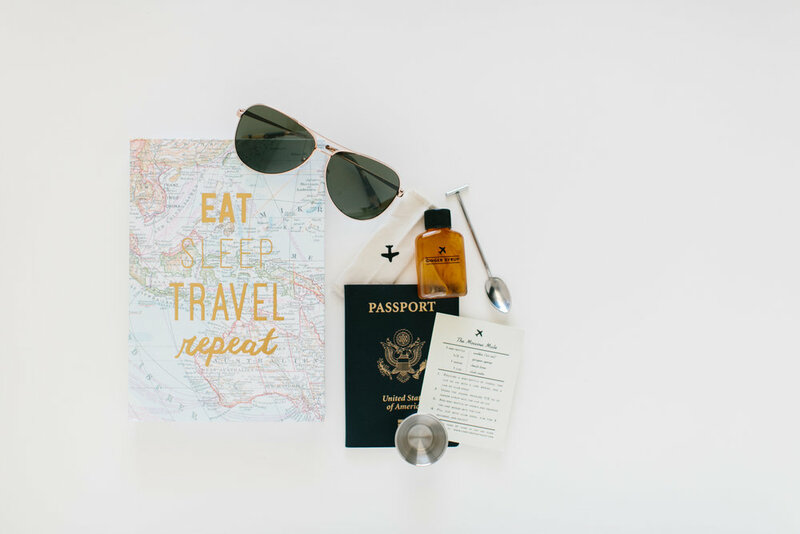 According to Travel + Leisure, “You have 12 months from your wedding date to file for a free passport in your new name!” The path to this little wedding gift is Form DSS-5504. Remember, new passports aren’t printed in a day. The standard wait time is 4-6 weeks, so it’s best (though not mandatory) to stick to domestic travel during the transition. Take a deep breath. While it’s not ideal to show up at the airport with a passport in one name and a ticket in the other, it’s still possible to travel. Since it doesn't take long to change a driver’s license, domestic travel during a name change is much easier. Either way, the key to success is a little bit of research. The thing is, airlines themselves are often more picky than TSA and border security. Most airlines won't allow passengers whose ticket and photo ID do not match exactly. At the same time, several airlines won’t re-issue a ticket in a different name without steep fees. It can feel like a catch-22. My advice is this: If you’re traveling during a name change, keep your marriage certificate handy at all times. This legal document clearly includes both your maiden name and your new name. And if you do book travel in one name while carrying a passport with another name, check your airline’s policy as soon as possible. If you can, call and speak to a representative in real time. Many will re-issue a ticket for free with legal documentation. A select few won’t budge. Finally, if you’re jetting across the world, check your final destination's entry requirements. Every country is a little bit different. You can call the U.S. Transportation Security Administration (TSA) and get their advice at 1 (866) 289-9673. The key in all this? A little bit of preparation. Whenever possible, know in advance which name will be on your documents before you or your travel advisor make reservations. Decide whether to reserve in your former name or future name. And don’t hesitate to let your advisor in on your concerns. It’s always better to prepare than to be surprised. Happy traveling!